Anyone excited about this drama? 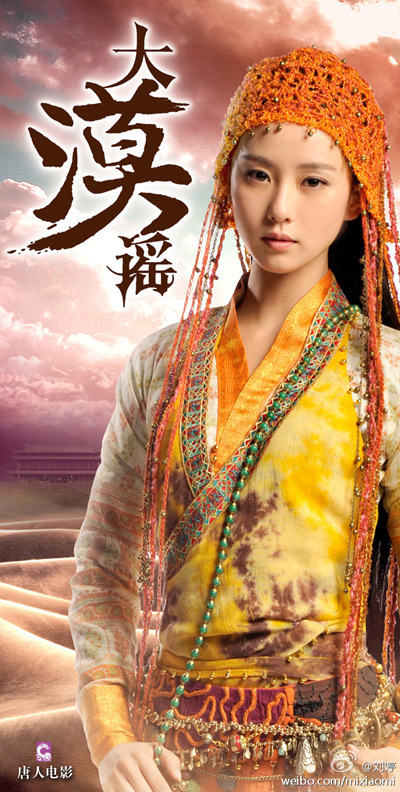 Yu Jin was raised with the people of Xiongnu, although her foster father is a Han. Due to political change within the Xiongnu, she was forced to flee to Chang’an, the then capital of the early Han Dynasty, changing her name to Jin Yu along the way. During her journey, she first meets the calm and kind Meng Xi Mo who is under the alias Meng Jiu, and later the handsome, but cold general Huo Qu Bing. Jin Yu falls for one, but was rejected. Will she untangle her love knot? Who will she choose in the end? I've just finished the drama and it was ok-ish, but not great. They seemed to wrap up the ending quite fast as though they spent too much time in the middle which ate up plot and film time and zipped right to the end. Storywise, the characters that had the saddest ending was Mo Xun and Qin Xiang. Mo Xun ends up becoming permanently crippled and loses his best loyal friend/servant. He also sacrificed so much for Xin Yue (Jin Yu) so that she'll find her happiness with the general. Qin Xiang loses her most trusted aid/secondary lover and ends up losing her will of what shes living for. At first it was for revenge for her parents, but she loses sight of her target in life and decides to kill herself.